I’ve spent almost all today in bed, and not in a good way – I’m sick, despite all my efforts to remain otherwise. I’m not even particularly runny or cough-y (although my throat is a bit scratchy), but I just feel like crap. Achy, weak, I didn’t even pick up my needles until just a little while ago. Hopefully this won’t last long! Luckily his feet are about the same size as mine, so the second one (hopefully) won’t take too long. I’m ambitious as usual, of course – I also want to finish that blue cabled pullover – I’m pretty much done the body, and a sleeve, with half a sleeve and the yoke left to go. I started this Ultramerino sock (for me!) at the store on Friday, but it’s ok if these don’t get done before the Olympics start. A bit of spinning content today as well – when I finally did manage to get out of bed for a bit, I finished spinning up the Fleece Artist silk brick that I bought a while back. It isn’t as even as the Fleece Artist wool/silk, but I still love it. It’s two ply, thick and thin hovering around worsted weight, and I haven’t measured the yardage yet – it’s drying now. To answer a question from Chris in the comments, I put multiple skeins on the swift, then wound them off one at a time – less up-and-down fiddling with the swift! Socks are looking great! And I wish blogs had Touch-o-rama, because I want to feel those skeins you spun. All of those projects to finish *before* the Olympics. Laura, that’s enough to fill the Olympics for most people! I’m sorry you are feeling sick and hope that you feel better soon. 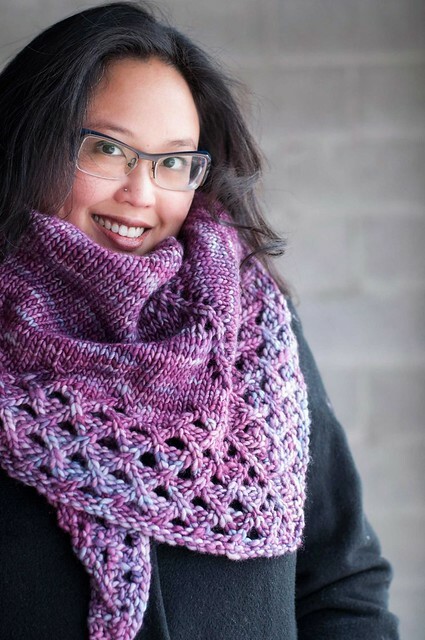 What a novel idea for winding multiple skeins of y arn. I do like the idea of less fiddling with the up and down motion of the swift! I never thought of that before! I’m also trying to clear (some of) the needles before the flame on Friday – but don’t you wonder if we’re setting ourselves up for 16+6 days (and nights) of crazed and maniacal knitting instead of just 16? Wow, you’re blue yarn is gorgeous…really. Curious to see what you make of it! That yarn is gorgeous!! You did a wonderful job!! You left a note for me on one of my blog posts regarding the gta knitting ring. I tried to log into my account so I could add the button to my blog but it won’t let me. I tried to see if maybe I just got my id wrong, but it wouldn’t send me an email to let me know. Just wanted to know if maybe I have to go and create a new account?